Coverage and risk management solutions for companies of all sizes. Business insurance in Waynesboro, PA, Greencastle, PA, Chambersburg, PA, Hagerstown, MD and surrounding areas. Licensed in PA and MD. We know that you cannot outrun your risk, but you can be ready for it. What if a power outage ceases operations, a fire severely damages your building? What if a disgruntled client or an ex-employee sues your business? You shouldn’t have to pay for this yourself, and with the right protection, you won’t have to. Our insurance advisors can help you identify gaps in coverage, look for ways to save money, and keep your assets and income protected. A business owners policy combines business property and business liability insurance into one convenient policy. We'll work with you to design coverage that protects your business from a variety of risks, unique to you. No matter the size and nature of your business, there are always uncertainties. We'll work with you to determine your business risks and we'll put together an insurance package that makes sense for your business. Whether you have one vehicle or a whole fleet, we can help you implement custom coverage that will protect your business and personal assets from the additional exposure that commercial vehicles bring with them. Commercial property insurance protects your assets in the event that they are stolen, damaged or destroyed in a fire or natural disaster. We'll partner with you to design insurance coverage that will protect your company's property. Workers' compensation insurance covers employees injured on the job or in auto accidents while on business. It also covers work-related illnesses. We'll work with you to find a solution that creates a safer and more productive workplace. Commercial umbrella insurance is designed to supplement existing insurance policies, giving you an additional layer of protection for your business. We'll work with you to find the right umbrella solution to cover all your business needs. Cyber liability insurance protects your business against the expenses associated with a data breach. We'll help you evaluate the data liability risks your business faces and find you a policy that meets your specific needs. As an employer, you face a rising tide of employment practices litigation alleging discrimination, sexual harassment, retaliation and other employment-related issues. We'll work with you to help you assess and manage your risk proactively. Errors & omissions liability insurance protects any business that gives advice, makes educated recommendations, designs solutions or represents the needs of others. We'll design coverage that will ensure that one simple mistake does not cause financial devastation. Directors & officers liability insurance covers directors and officers for claims made against them while serving on a board of directors and/or as an officer. We'll work with you to protect your organization's greatest asset: your senior leadership. Inland marine insurance is coverage that protects your business property while it's away from your business location. We'll help you ensure that your property is protected not only at your location but also while it is off-site or in transit. Environmental concerns continue to be a leading societal and business risk issue, sometimes posing serious unexpected challenges. We'll work with you to create a custom solution to help protect your business against environmental risks. Systems breakdown insurance covers the sudden and accidental, physical damage to equipment that requires its repair or replacement. We'll design comprehensive coverage to protect your business against a financial disaster. Captive insurance is a unique way for a business to insure itself. In many cases it can improve a business' tax position and help to avoid legal pitfalls. Could captive insurance be an option for your business? 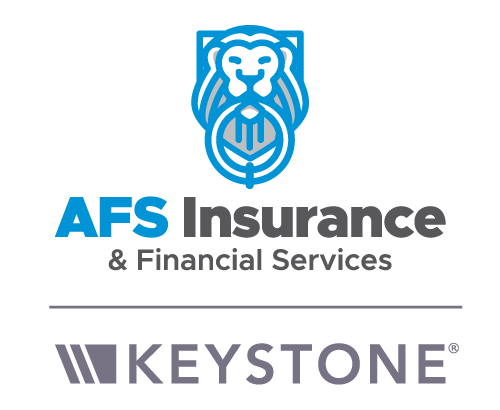 AFS Insurance & Financial Services, Inc offers comprehensive business insurance in Waynesboro, PA, Greencastle, PA, Chambersburg, PA, Hagerstown, MD and surrounding areas. Licensed in PA and MD.